Beautiful piece of land located in Pong , close to Mapbrachan Lake. Surrounded by many foreign owned properties. On road, with electric, ideal for building your own home in Pattaya. 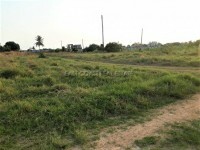 This is a perfect 2 rai plot and well priced at 2,500,000 Baht per rai.